Marchand Petit are delighted to be sponsoring a vital new emergency resource for Noss Mayo. A defibrillator has been installed just moments from the water’s edge, outside the Tilly Institute, a sports and recreation facility for the local area. The new equipment will provide immediate assistance for anyone suffering a cardiac arrest. Since time is of the essence in these situations, this could be a real life-saver. 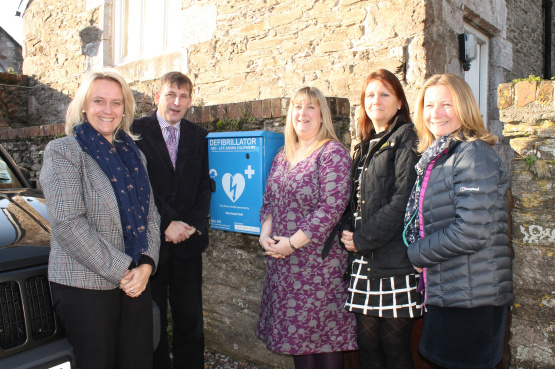 Marchand Petit’s Newton Ferrers office has committed to sponsor the defibrillator for the next 5 years. “We are always keen to support our local communities, and this was a good opportunity,” said Julie Leach from the Newton Ferrers office.